With most soft plastic presentations, the weight will be tied inline or molded to the hook. 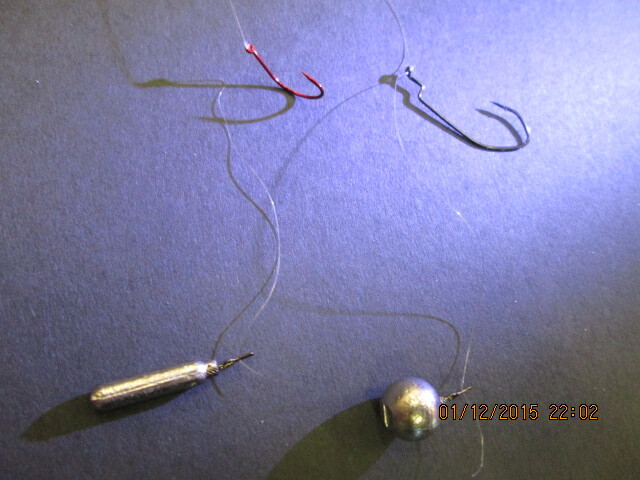 With a drop shot rig the bait is attached below the hook and the bait. This allows the bait to move freely without the weight interfering with its natural action. That is what makes this setup so effective. It is a finesse light line, light tackle setup and can be used to catch finicky bass and trout (yes, trout fall victim to a drop shot rig all the time). Bass and trout can be caught at any depth, from shallow to deep with this setup. Fluorocarbon line is the best choice, because it will practically disappear under water and it sinks allowing your bait to be fished in deeper water. Fluorocarbon is a bit pricey, so using it for your leader is a good idea. 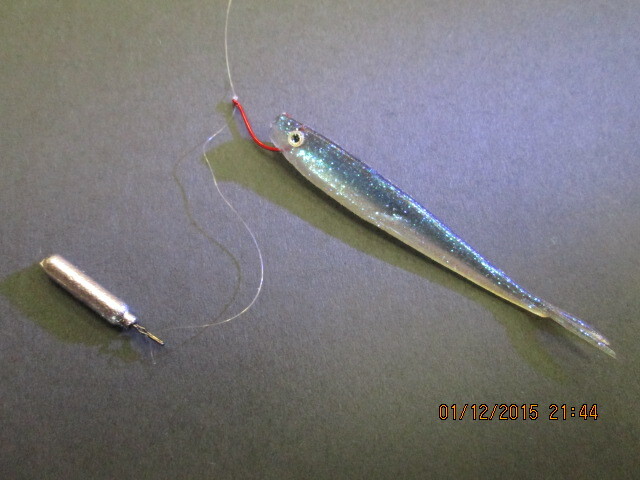 Braid or monofilament will work for the main line. 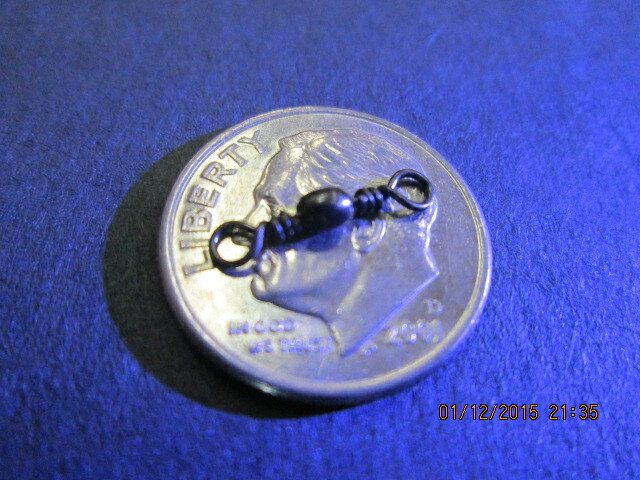 Once you have attached your leader be sure to tie a small swivel inline. The bait will spiral and roll on the fall and also on the retrieve. Without a swivel your line will become twisted and tangled. Next step would be to tie on a hook. You can use a handful of sizes depending on what type of bait you are using. 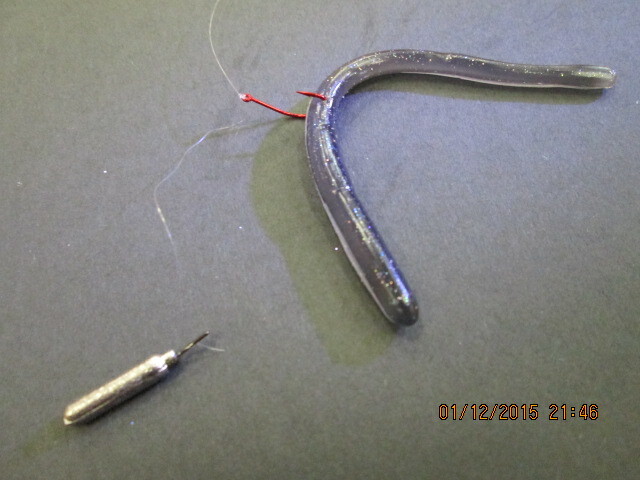 To keep it simple just match the hook to your worm and make sure it’s not too big or too small. Once you have selected a hook, use a standard Palomar Knot to tie it to your leader. At this point you would normally cut the tag end off. Instead of cutting the tag, simple run it back through the eye of the hook. Then attach your weight to the end of the tag. Be sure your hook point is facing up so when you get bit, the fish is hooked properly. The line between your hook and weight can be many different lengths, but 12-24″ usually works well. Choose a soft plastic bait that resembles what the fish are feeding on and your set. There a three basic ways to rig your soft plastic. First would be by nose hooking it. 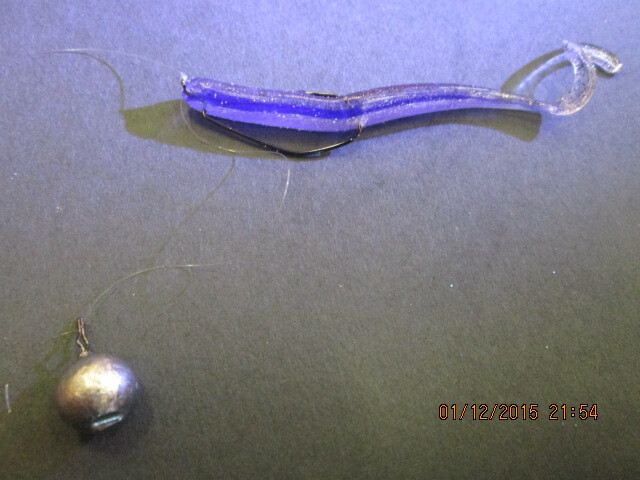 This allows the bait to have a ton of action, but the exposed hook is tricky to fish around brush and trees. Second would be a weedless setup, which is a great choice when fishing cover. The downfall is the hook has to go through the bait to hook the fish, which results in more missed fish. Third would be to rig it wacky, right through the middle of the bait. It looks wacky, but the fish seem to bite it real good some days. The drop shot can be fished vertically or cast toward the bank, give it a try. If there are bass or trout in the area they will be tempted.